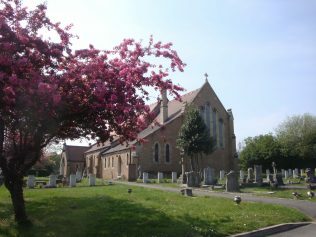 St Alban’s Church and surrounding churchyard at Forest Town, near Mansfield were dedicated in 1911. In the following years as people died and were buried, headstones appeared in the churchyard, and some memorial plaques were placed inside the church. However errors in both names and dates have occurred, and these photographs illustrate that we should not believe that everything cast in stone is correct. During the years 1915 to 1919 St. Alban’s churchyard became the last resting place for some of the soldiers and one nurse who died at the nearby Clipstone Camp. Briefly Clipstone Camp was a vast hutted camp established to train soldiers during the years of the Great War and from where many soldiers were demobbed at the end of the war. There was also a Military Hospital at the camp. 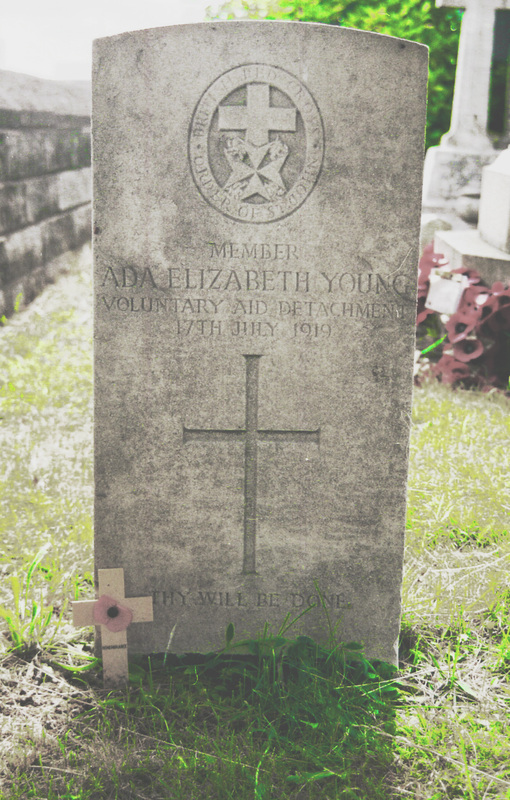 Early photographs show the soldiers graves were marked with a wooden cross these changed in later years and they all now have the standard Commonwealth War Grave Headstone. It is amongst these headstones that two errors have been found. Ada Elizabeth Young was a VAD (Voluntary Nurse Detachment) nurse at Clipstone Camp Hospital and died of pneumonia on the 15th July 1918, she was buried two days later on the 17th July. 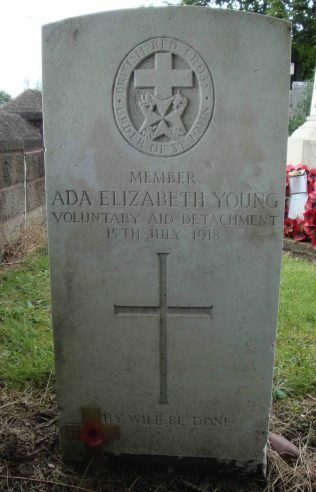 For many years the date on her headstone gave her date of death as the 17th July 1919. 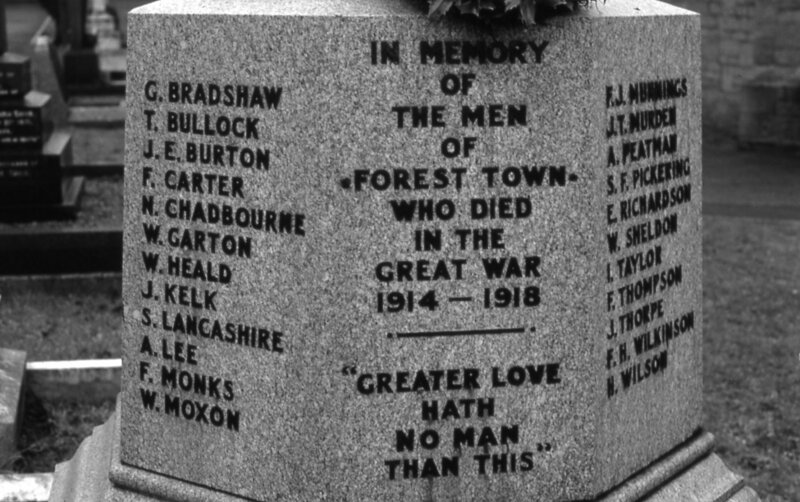 When this error was discovered contact was made with the Commonwealth War Graves Commission who on checking their records realised the mistake and the headstone was corrected to read 15th July 1918. Recently another error was discovered on the headstone of Pte T Peters of the East Yorkshire Regiment his year of death was given as 22nd February 1918, on checking this in St Alban’s Burial Register it revealed he had died and was buried in February 1919, not 1918. However it was the 1918 date that the Commonwealth War Graves Commission held in their records. 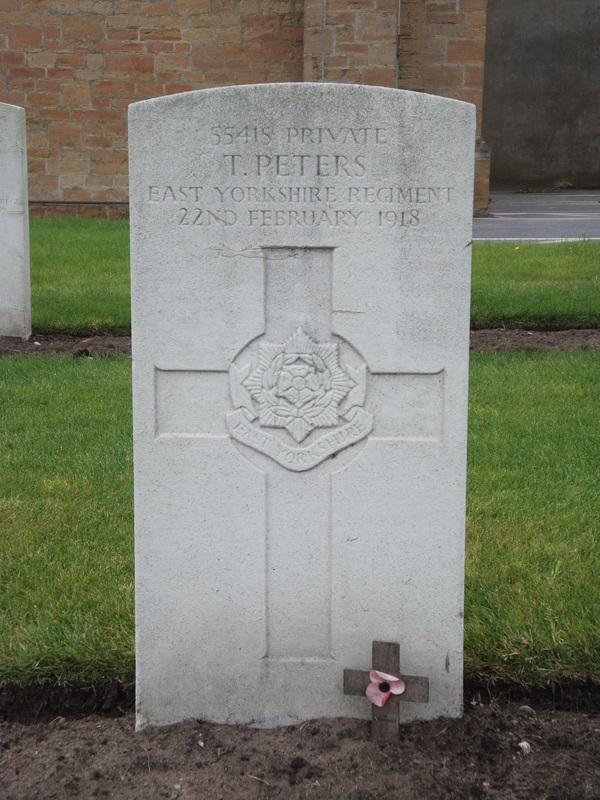 It was only after a copy of Pte Peters death certificate was obtained and a copy of that plus a copy of the burial register entry was sent to them, that they have now accepted the error. The headstone will be corrected in due course. 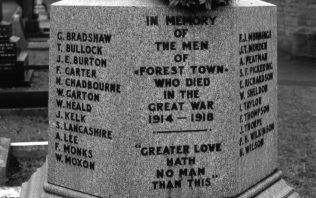 The cenotaph in St Alban’s churchyard was unveiled in 1921 with names of men who lost their lives in the Great War. 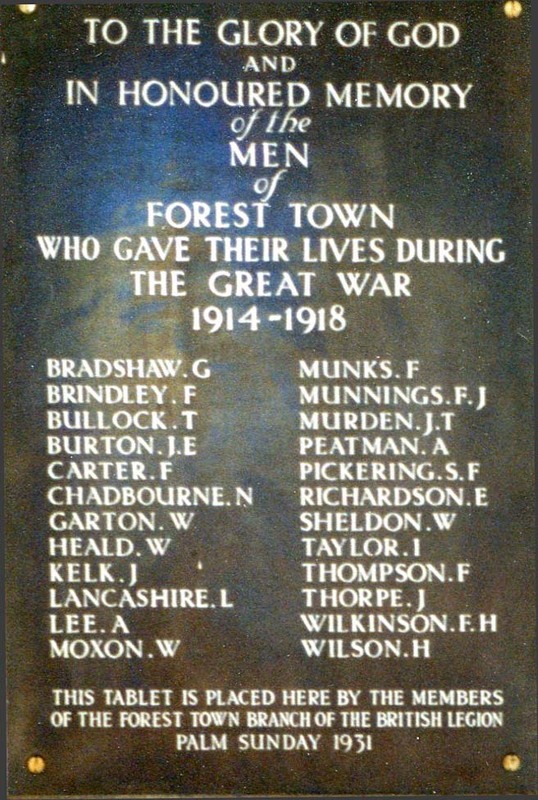 In 1931 the British Legion placed a tablet inside the church honouring the men who died during that war. 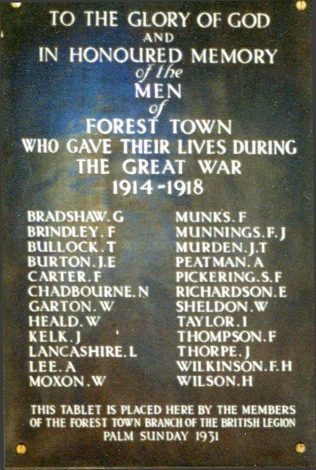 This is where another discrepancy appears, this tablet has the name of Brindley F who is not on the cenotaph listing, also the name Munks differs to that on the cenotaph which says Monks. These latter two mystery’s still have to be solved.